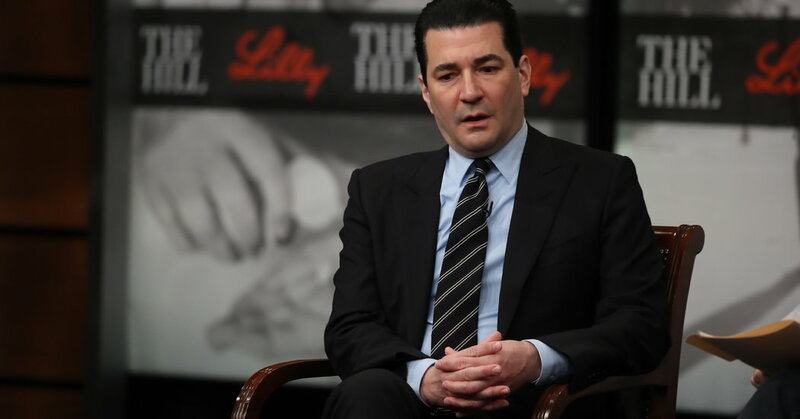 Dr. Scott Gottlieb plans to work on drug prices and other health policy issues as a part-time fellow at the American Enterprise Institute, after he leaves his post as commissioner of the Food and Drug Administration. His last day at the F.D.A. is Friday. In an interview, Dr. Gottlieb said he was not yet sure what other work he would pursue beyond the half-dozen or so days he’d spend each month at the conservative think tank. Although A.E.I., where Dr. Gottlieb once worked, opposed some regulations of vaping, it did not take part in the vituperative public attacks on Dr. Gottlieb for his work to end the youth vaping epidemic like much of the rest of the Washington conservative establishment. Dr. Gottlieb took office in May 2017, and was best known for his aggressive drive to regulate the tobacco and e-cigarette industries. But he also ventured beyond the typical regulatory boundaries for an F.D.A. chief, frequently criticizing the prescription drug industry for high prices and accusing some pharmaceutical businesses of gaming the system to avoid the competition that would lower them. A prolific writer of op-eds, Dr. Gottlieb said he would focus on some of the structures in the Medicare program that inhibit competition. “We have product competition in the market but we don’t have price competition because of the way the payments are structured, in part because the drug industry has lobbied for rules that are in some cases an impediment to true competition,” he said. He also expects to continue working on the issue of brand name drug companies blocking generic competitors from entering the market, and related problems. Dr. Gottlieb said he plans to spend the summer relaxing with his family before working full time. Before coming to the F.D.A., he had a varied career; he has been a practicing physician, a venture capitalist and entrepreneur and also served as a drug company adviser and board member. Dr. Gottlieb’s announcement that he would step down as commissioner came as a surprise to the industries his agency regulates and to Congress. The reason he gave was weariness with his weekly commute to see his wife and three children, who have remained in their Westport, Conn., home since he started the job. If he had it to do over, Dr. Gottlieb said, he would have moved them to Washington right away. Some of the agency’s highest profile work during Dr. Gottlieb’s tenure, other than tobacco control, was the speeding up of drug and medical device approvals, measures that won industry praise but also heavy criticism from public health advocates who feared for public safety.